Following a 25-day break, the Terriers return to action with an out-of-conference game against Harvard at the Bright-Landry Hockey Center in Allston. Puck drop is at 7 p.m. tonight for the contest that will air on ESPN+ (subscription). Harvard enters the game with a 6-6-2 record and is coming off a 3-2 overtime win against Rensselaer. The Crimson’s power play, which has a mind-boggling 36.2% success rate, is quarterbacked by standout junior defenseman Adam Fox who has 20 points. Also leading the Harvard attack are freshman Adam Dornbach, sophomore Reilly Walsh and freshman Jack Drury. Senior goalie Michael Lackey has a 2.41 GAA and a .912 save percentage. Co-captains Dante Fabbro and Bobo Carpenter pace the Terrier attack with 13 and 12 points respectively. BU will be without freshman Jake Wise for the remainder of the season following shoulder surgery. Goalie Vinnie Purpura has been added to the roster, while defenseman Dominic Vidoli has left the program to play in the USHL. Scott Weighart sat down with Coach Albie O’Connell to review the first half of the season and discuss what is needed for an improved second half. Give a warm Terrier Nation welcome to Vinnie Purpura! 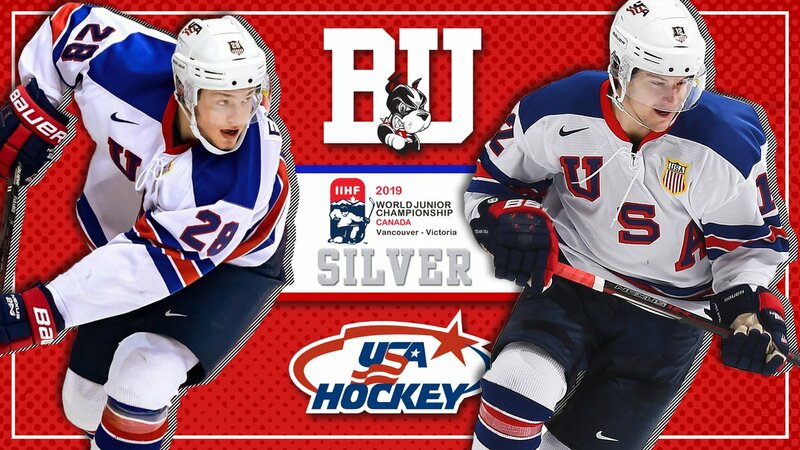 Sophomore Logan Cockerill and freshman Joel Farabee earned silver medals with Team USA, which fell to Finland, 3-2, in the gold-medal game of the World Junior Championships in Vancouver. 2019 recruit Robert Mastrosimone scored the game-winning goal and added two assists in Chicago’s 7-1 win against Madison. 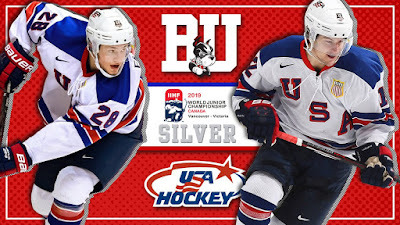 The left wing from East Islip, N.Y., will skate in tonight’s USHL/NHL Top Prospects game in Lincoln, Neb., along with 2019 recruit Ethan Phillips of Sioux Falls. The BU Hockey family mourns the passing of Jim Quinn '67. Jim co-captained the 1967 NCAA runner-up team that won the Beanpot & claimed the ECAC reg-season title, becoming the only BU team in the past 70 years to post an undefeated conference record (19-0-1). Sophomore Corinne Schroeder, who was Hockey East Goalie of the Month for December, was named Defensive Player of the Week after blanking Maine, 3-0, on Sunday to give BU a split of its weekend series with the Black Bears. 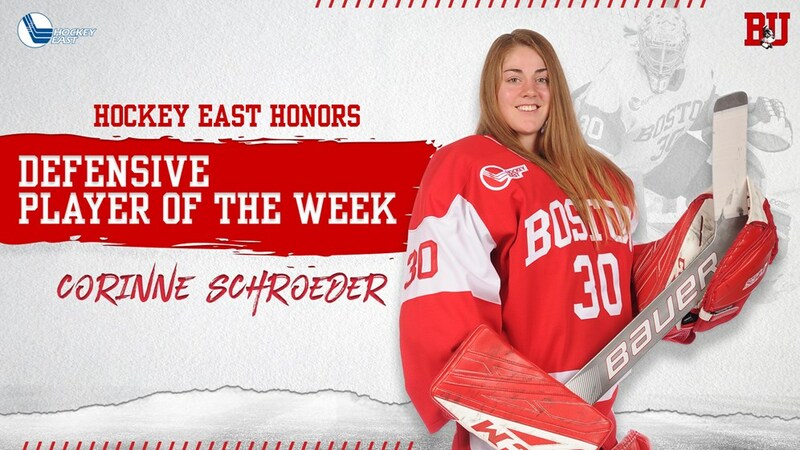 Schroeder stopped all 21 Maine shots a day after turning aside 20 of 21 shots in a 1-0 loss to Maine.